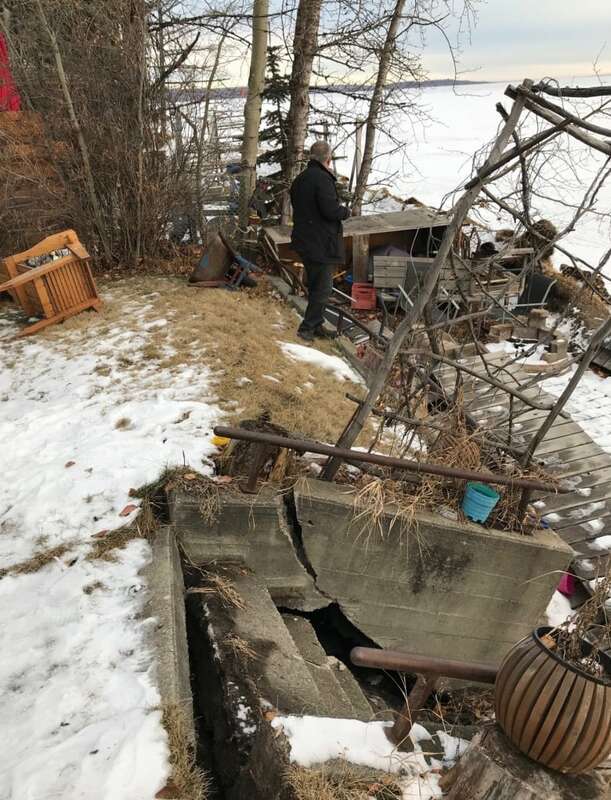 After major structural and shoreline damage this winter, Wabamun Lake cottage owners will be getting their hands dirty this weekend at a workshop on how to do repairs. 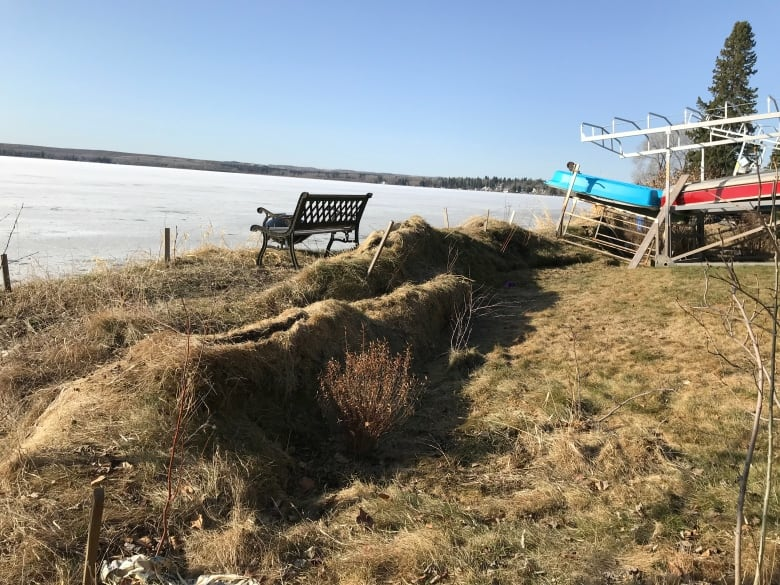 Wabamun Lake property owners will be rolling up their sleeves this weekend as they take part in a hands-on workshop that will teach them how to protect their land, and the lake, after damage from ice heaves this past winter. More than 40 people are registered for the Wabamun Watershed Management Council's (WWMC) shoreline restoration workshop, presented by Polster Environmental Services Ltd., Friday and Saturday. The workshop will discuss how vegetation and other measures can protect properties from erosion and the lake from pollution. The event comes after ice heaves damaged several properties on Jan. 2. The heaving happened as a result of an extreme change in temperature from –28 C to just below freezing in the span of a few hours. Since ice expands when heated, the ice heaves damaged structures, including undermining the foundation of the Seba Beach Heritage Pavilion, said WWMC communications chair Don Meredith. "It's quite remarkable," Meredith said. "It's called ice jacking when the shoreline is actually rolled up. In some cases, it rose six feet off the ground, actually uprooted some trees in places, and in some cases it shoved the shoreline into buildings. "Other people had their land tossed around." Meredith said ice heaves are caused by a specific set of circumstances, including a lack of snow cover. "It's very rare," he said. "Some of the residents who've been on Wabamun a long time say something like this might've happened 40, 50 years ago. But it hasn't happened recently." For WWMC chair Neil Fleming, the damage to his property was minimal compared to other property owners. He said his neighbour's retaining wall, 20 feet from the water's edge, was destroyed. "A lot of the heaving and the buckling of the surface of the ground occurred, in my case, about 10 to 15 feet onto the shoreline property. It amounted to layers of sod being pushed back up on themselves," Fleming said. That caused ridges up to four feet high on his land. This weekend's workshop will teach people how to do repairs on their property that could prevent pollution in the lake. The biggest issue for Wabamun Lake is water quality, Meredith said. "Whatever is on the land — from rainfall, snow melt, whatever — is runoff [that] will gather and will go into the lake," he said. "The way Wabamun is structured, those nutrients will stay in that water, so what we want to do is minimize the amount of nutrients going into it." People at the workshop will learn how to plant vegetation to stabilize the shoreline, provide resistance on their land and prevent damage of the shoreline and surrounding land. "We want to make sure everybody is on board keeping the lake healthy," Meredith said.